These words were written by Alastair Cram, a remarkable Scotsman who, as far as it is possible to know, holds the record for the most escapes ever made by a British prisoner of war. I first came across Cram while reading about the experience of Bill Murray, who was interned with him in Oflag VIII F (Mahrisch Trubau) and Oflag 79 in Brunswick during the Second World War. In ‘The Evidence of Things Not Seen’, Murray had described Cram as being one of the toughest nuts to crack, a dedicated die-hard who believed that not only was it a soldier’s right to escape, but it was his duty. Something about him made me want to find out more. Alastair Cram first experienced the Scottish mountains at the tender age of four, when his parents took him on walking expeditions in the Cairngorms. As a teenager, he would camp with friends in the Rothiemurchus forest, exploring the remote and trackless parts of the Highlands and learning the skills of survival which would stand him in good stead in future years. He had climbed all the Munros – Scottish mountains over 3,000 feet – by the age of 28, and was invited to join the Everest team for 1939, but this expedition was cancelled with the outbreak of the Second World War. 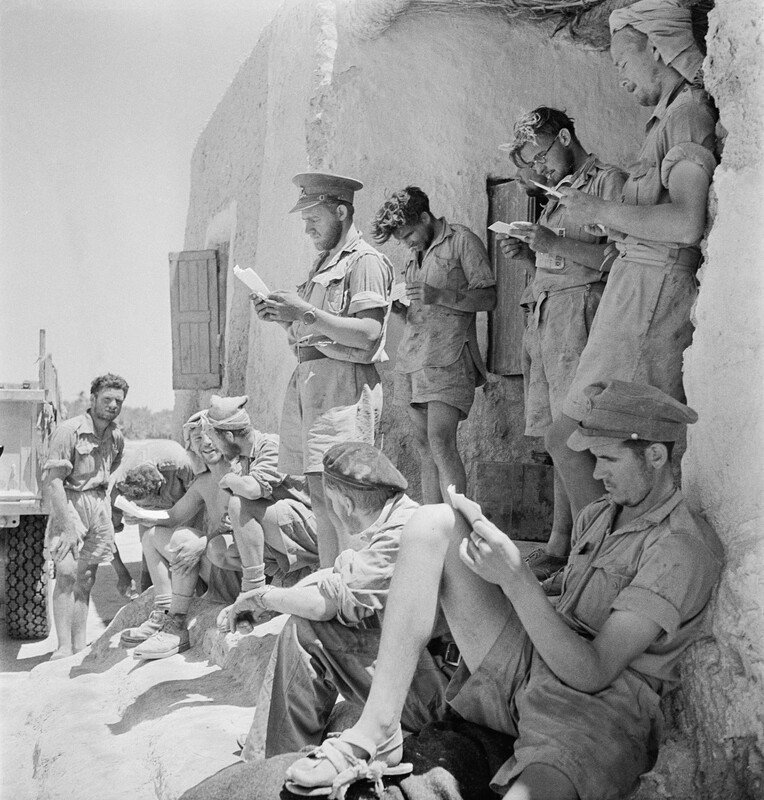 Instead, being a crack shot, Cram volunteered for the Royal Artillery, and was sent to Africa where he joined the Long Range Desert Group. Captured at Sidi Rezegh, Alastair became a prisoner of war – but it seemed that nothing and no one could hold him in. He escaped from prison camp at least 23 times (the exact number varies according to the source), using his language skills and mountain training to cross unknown countryside by stealth, often in the dark. No matter how many times he was re-captured, he took his duty extremely seriously, and honed it almost into a science in itself: in the National Library of Scotland are some of his papers, typewritten and annotated in pencil, which he may have been intending to use as the basis of a book on how to escape from captivity. *Throughout his book, Murray spells Cram’s first name ‘Alistair’ rather than ‘Alastair’. It seems that the second version is the correct one. Murray was mistaken, however: Cram and Wedderburn were caught and returned to Brunswick a few weeks later. In the meantime, they had been taken to Dachau, a notoriously grim compound of unspeakable atrocity, which they were lucky to leave with their lives. The truth was that the Gestapo guards there had initially believed them to be British spies, and on finding that they weren’t, they had to obey orders and send them back to Brunswick. Murray described Cram as a broken man, in no condition for further prison life, and shortly afterwards he was moved into Brunswick’s mental hospital. But the hospital was hit in a bombing raid, and Cram – for the last time – made good his escape. He reached Allied lines, and was taken to safety. Was he really ill, or – as his advisory notes suggest – was he faking it? There’s no way of knowing, and I for one would not be surprised either way. Alastair was persuaded to join the SAS by its founder, David Stirling, who was his friend and fellow escaper. He was awarded the Military Cross in 1945. After the war, he resumed his professional career as a lawyer and moved to Africa, where he rose to become a high court judge in Malawi. He married Isobel Nicholson in 1951, and after his retirement the couple returned to Scotland to live. Aged 79, Cram ascended Mount Ida, which, at 8,058 feet, is the highest mountain in Crete. This really all began when I read on a friend’s blog about her visit to the Cumberland Pencil Factory, and in particular the museum there which has some very interesting wartime exhibits. Among these was a hollow pencil which concealed a small rolled-up map and a tiny compass in the top, beneath the rubber. Apparently this was one of the ingenious devices used by the British government to smuggle information into prisoner-of-war camps; and far from being a one-off flash of genius, it was just the tip of a very well organised iceberg. How clever, and how fascinating! In 1939, as the western world prepared for war, the British government set up a new department called MI9, under the control of the War Office. Part of its remit was to facilitate the escape of British prisoners, and in particular “to collect and distribute information on escape and evasion, including research into, and the provision of, escape aids…” Into this hive of cerebral activity stepped an extraordinary man who could have been born for the task. MI9 was divided into five sections, known as D, W, X, Y and Z. Section Z focused on the design and production of escape tools, and at its head was a man called Christopher Clayton Hutton. Hutton, known as ‘Clutty’ to his colleagues, was an eccentric genius. 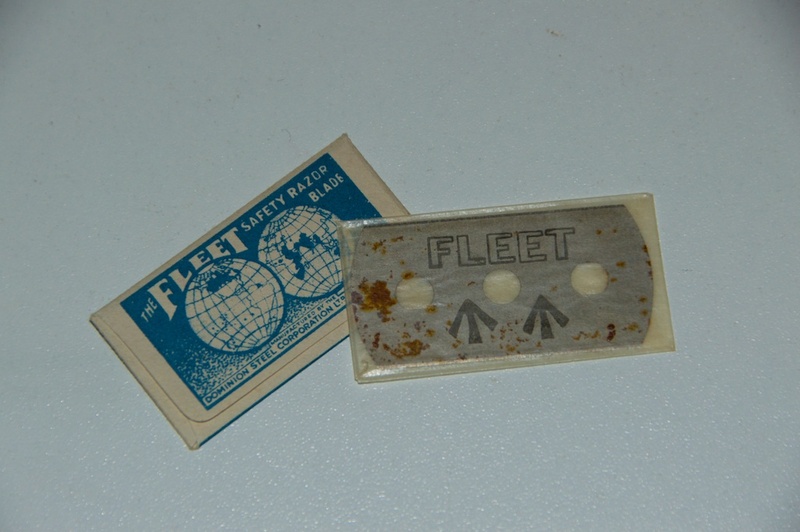 This looks like an ordinary razor blade, which of course it is; but it is also magnetised, so that when floated on water or suspended on a piece of string the two black arrows will point north. In his youth, Hutton had watched the escapologist Harry Houdini perform on stage, and he had become completely absorbed by the art of illusion. He had served in the Royal Flying Corps during the First World War, but in 1940 his formidable intelligence found a different outlet altogether. ‘Escape-mindedness’ was the attribute which MI9 sought to cultivate in the British armed forces, and there could be no better word to describe Hutton himself. He was soon applying his intellect to the design and production of all kinds of devices that could either be concealed in an officer’s uniform or smuggled into prison camps. 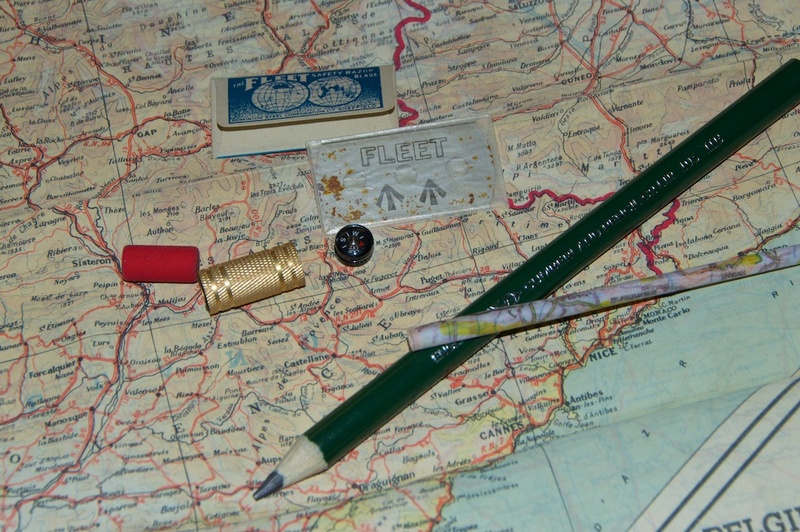 Tiny compasses were hidden in the hollow heels of RAF flying boots or secreted inside jacket buttons; innocent-looking bars of soap contained maps, compasses and money. By far the most brilliant deception – stunning in its simplicity – was the use of board games. After all, the prisoners needed entertainment, and by this time a few charities such as the Red Cross were successfully sending a steady supply of items to lessen the suffering and boredom of captive British soldiers. Of course, these were all subject to rigorous inspection; but once he knew that they were getting through, Hutton realised that he was ‘in’. Meanwhile, Christopher Clayton Hutton was busy making some important contacts. Among them was Ian Bartholomew of the famous Edinburgh map-making family, whom Hutton approached for permission to reproduce a series of small-scale maps of Europe. Bartholomew was a WWI veteran who had served at Ypres and been awarded the Military Cross; without hesitation, he allowed the use of his maps and waived the fee as a gesture towards the war effort. At the time, Ian Bartholomew kept the matter so secret that he mentioned it to no one, including his sons. 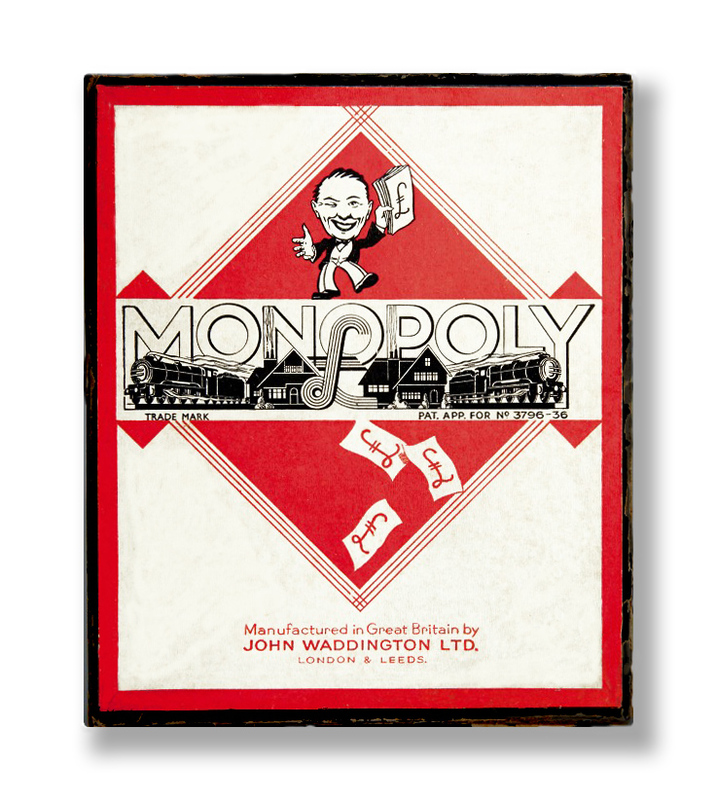 Hutton’s other important contact was Victor Watson of John Waddington Ltd, the makers of Monopoly and many other popular board games. This was Hutton’s master-stroke: he commissioned Waddington to print the maps on silk, because silk was far more durable and crease-resistant than paper, and then he asked them to design a game board that would conceal not only a map, but a compass and a small metal instrument such as a saw or a file. The items were fitted into die-cut holes in the board, and the printed paper was glued over the top. With a touch of genius, some French francs were included in the Monopoly money. Absolutely brilliant! Of course, not all Monopoly sets carried these precious ‘get out of jail free’ aids. Hutton needed to find a way to distinguish the special sets so that the British servicemen would recognise them. He hit on just the thing: a coloured dot, made to look like a printing error, strategically placed on a particular square of the game board. He honed this still further, so that a dot on a certain square meant that the board contained a map of, say, Northern France, or Italy, or Germany. I’m not going to tell you the whole story! But if this intrigues you as much as it does me, I can wholeheartedly recommend that you treat yourself to a copy of ‘Great Escapes’, which is a fascinating read. And afterwards… I bet you’ll be looking at every vintage Monopoly set that you come across! Using the best brains at its disposal, MI9 devised a system of encrypting letters which, on the face of it, appeared to be entirely innocuous messages to family and loved ones. 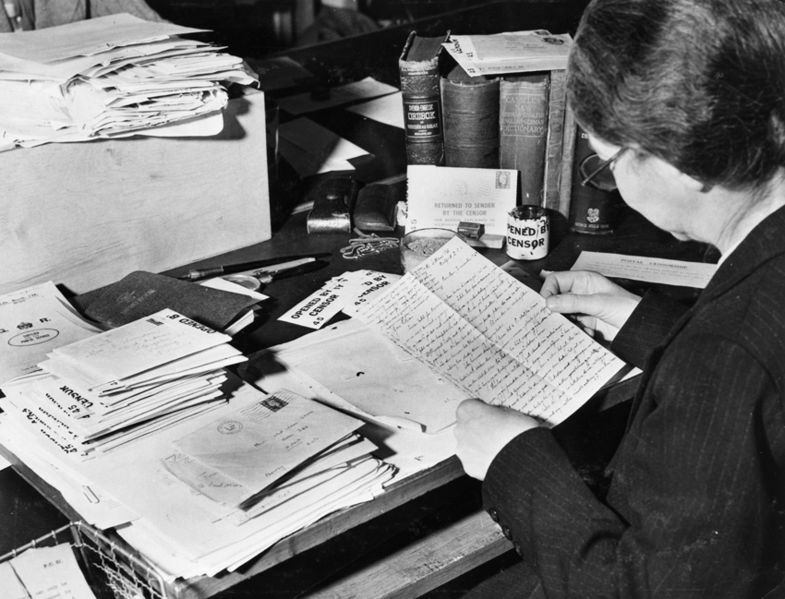 Before being sent overseas, officers were hand-picked and taught how to use ciphers. They were also given a unique key which both they and the recipients had to know in order to work them out. Decoding an encrypted letter involved an intricate but logical process by which a grid of numbers and letters was set up – its number of rows and columns defined by the opening words of the letter – and then it was a matter of taking the first letter of certain words and translating them, via a number system, into different letters of the alphabet. Few people other than MacAlpine would have grasped the meaning of this: Garrick’s Shelf is a particularly challenging section of the Crowberry Ridge on the Buachaille Etive Mor, a vertical climb on bare rock. It is a miracle that any of these men survived at all. 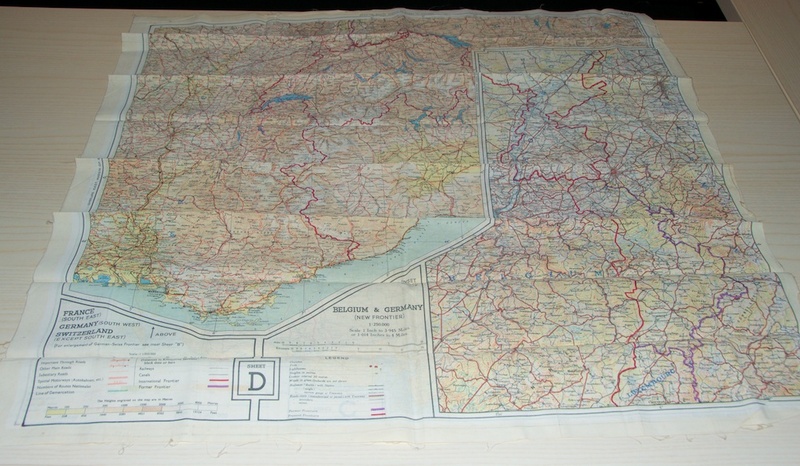 The RSGS has a number of ‘secret’ wartime maps in its collection. They are printed on rayon, a man-made silk substitute which was used when silk was hard to come by. There is a nice link here because Ian Bartholomew’s father, John George Bartholomew, was one of the founders of the RSGS. Both sides are printed, and you can see why there were sometimes problems with ‘show-through’ in the first maps that were made. The man responsible for designing the ingenious Cumberland pencil was Charles Fraser-Smith of MI6. He was a bit of an inventor himself, and he called his ideas ‘Q gadgets’ after the Q-ships, heavily armed vessels disguised as merchant ships which were deployed to engage enemy submarines during both world wars. Ian Fleming, who later penned the series of James Bond novels, worked on a number of projects with Fraser-Smith and no doubt his naming of ‘Q’, the long-suffering gadget designer, was inspired by him. 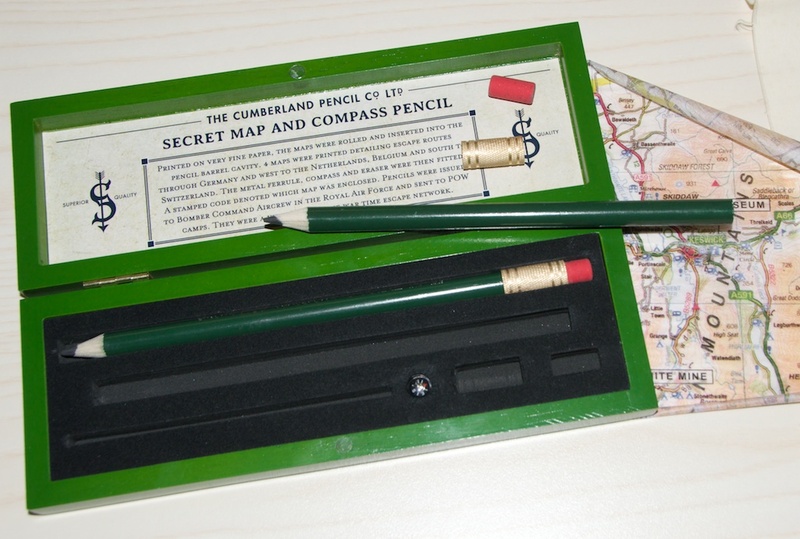 A boxed replica of the pencil, complete with map and compass, is available from Derwent. This new hardback book offers a fascinating and detailed insight into the production of secret wartime maps by MI9. Over 30 years ago, Barbara Bond was a map researcher in the Ministry of Defence, tasked with identifying and recording all of MI9‘s escape and evasion maps. This ignited a passionate interest, and ‘Great Escapes’ is the culmination of her research. Not only does it contain colour photos of many of the maps themselves (and a comprehensive list of them in an appendix), but it gives a detailed history of MI9 and the characters that helped to forge its reputation. It also tells the stories of several escapees and explains how they managed to reach safety; it describes the process by which a cipher is set up and used to code – and decode – a letter; and it reveals the innocent-looking items that were designed to assist an escape (the Monopoly set is just one of many!) There’s such a wealth of information here, but it’s well structured and meticulously presented. You can see that this was a labour of love, and the writing is both authoritative and very readable. There are no freely available photos of Alastair Cram (I can find no photos at all, in fact.) If you knew him, or have any information about him that you wouldn’t mind sharing, I’d be delighted to hear from you. Photos of maps and other items in the collection of the Royal Scottish Geographical Society © Jo Woolf and RSGS. Other photos via Wikimedia. Find out more about Bill Murray in this post on Explorers of the RSGS. 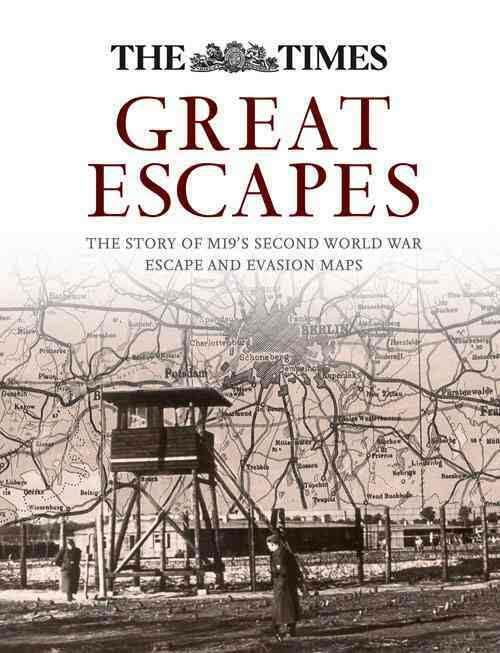 David M Guss had written a new book, ‘The 21 Escapes of Lt Alastair Cram’, which traces the extraordinary wartime escapes of the ‘Harry Houdini’ of the Second World War. Using previously unpublished journals, it gives a new and unique insight into this remarkable man’s bravery, his formidable intellect and self-discipline, and his unquenchable belief that it was his duty to escape, regardless of the odds. Highly recommended! Another wonderful post, packed full of fascinating stories. Everything you’ve written about is remarkable. It got me thinking that there must be stories of ingenious Germans who outwitted their enemies in similarly clever ways. It’s astonishing what human beings can come up with when they really need to. Mind you, these particular men you’ve written about were exceptional. Alastair Cram’s record of escapes is extraordinary. You’d have thought that once he’d got a reputation for escaping his captors would have kept such a close eye on him that he’d never get such chances again, and yet somehow he continued to outwit them. I think I’d enjoy the Barbara Bond book, as well as the Bill Murray one. Thank you, Lorna! Do you realise what a trail you started?! You’re right – so much of what went on was absolutely incredible. I also read that a couple of prisoners who were professional printers managed to make a printing press out of floor tiles, with the intention of printing their own maps. Yes, you’d think that Cram might have suffered for his many escapes but his spirit just kept him going. The stories in Barbara Bond’s book are astonishing. I tried to get my head around the coding section but it needs a bit more focus! 🙂 Really glad you enjoyed it – thank you! I know, it’s astonishing! They removed tiles from a toilet block, ground them down so they were smooth and traced the details of maps onto the surface using carbon paper. They made several plates for the different colours needed, and went over the linework with a fine pen dipped in boiled margarine. They managed to get hold of gelatine from tins of meat (sensitising agent) and inks from different kinds of powder. The press itself was built from wooden floorboards and a roller was made from a window bar! I may look up ‘The Hut Six’ – that sounds good – although I am with you on the coding aspect! Thank you so much, Lorna, you are very kind and it’s a pleasure to write these articles. I just love doing it. I have a feeling I might not have finished with Alastair Cram yet. But I need to visit the National Library again! I’m even more flabbergasted than I was before! “Great Escapes” is now on my list! Wonderful article, Jo. I remember hearing about the Monopoly game, but obviously there was a lot more going on. Thanks for all your diligent research. And the great links. That’s so good, Pat – I know you’ll enjoy it! Thank you very much indeed for your kind comments. I had such fun researching and writing about this! Hi Jo. I can pretty well guarantee that you have not finished with Alastair yet. There is an enormous number of his exploits and anecdotes that are probably going to remain unknown. He was that kind of man. Good luck with any research you do. Are you aware of the chap at Tufts University who has supposedly been writing a book about him for the last 10 years or so? Hi Robert, That’s very interesting! Thank you for telling me about that, as I didn’t know. 10 years is a long time! I remember thinking when I was looking at Cram’s notes that it would take years of intensive study just to decipher and transcribe them. Are you related to him? Yes. We were family so I knew him well. Also his widow Isobel who died last January. ( https://www.panmacmillan.com/authors/david-m-guss/almost-home ). I think you’ll find that it answers many of the questions you raise about Alastair. It also takes a hard look at Bill Murray’s somewhat distorted account of events. And as you suspected, it did take several years to decipher his rather cryptic journals. In any case, I’m glad that you’ve brought this remarkable individual to people’s attention.